» Look out Preschool here we come. Look out Preschool here we come. 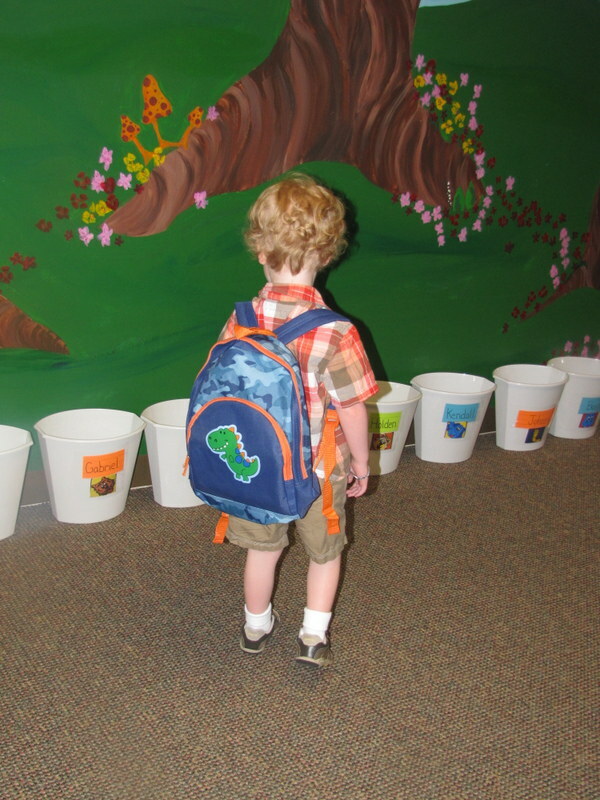 Gabriel and I started our preschool year this week. Everything is off to a great start. My sweet boy was so ready for school to start especially after “suffering” through a week of prep time in my classroom. He would not look at the camera for a picture. Instead he is showing off his new backpack and checking out school mailbox. He has loved school! He even talks about it at home (very uncommon for my in the moment kid). I sent his cheese sandwiches for snacks both days this week. His teacher say he is eating them just fine. His teachers read the book I made about how he eats special food and wears a helmet on the playground. I have always loved my job. This year even more so. I am so glad I work at a preschool because I would not be brave enough to send Gabriel to school without me right there. He has amazing teachers, who know the whole story and have gone above and beyond to make me comfortable and welcome G! It is a huge relief to have the school year up and running. Just like many parents have been nervous about school starting and wondering how it will go, just with some added craziness.